Desmos is a free graphing calculator that has been available for a few years as a browser-based tool and as an iPad app. 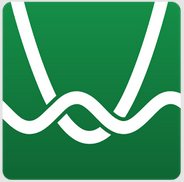 Late last month Desmos launched a free Android app. The Desmos calculator performs all of the functions you would expect to see in a graphing calculator with a couple of extras that you don't find in typical graphing calculators. Desmos allows you to share your equations and graphs. Desmos graphs your equations as you type them and redraws them as you alter your equations. See some of the best features of Desmos in the videos embedded below. The Android app will work without an internet connection nor do all of the sharing features work on Android version. The U.S. Census Bureau records and publishes lots of interesting data about the population of the United States. The Maps & Data section of the U.S. Census Bureau's website is a good place to find that data in a visual format. 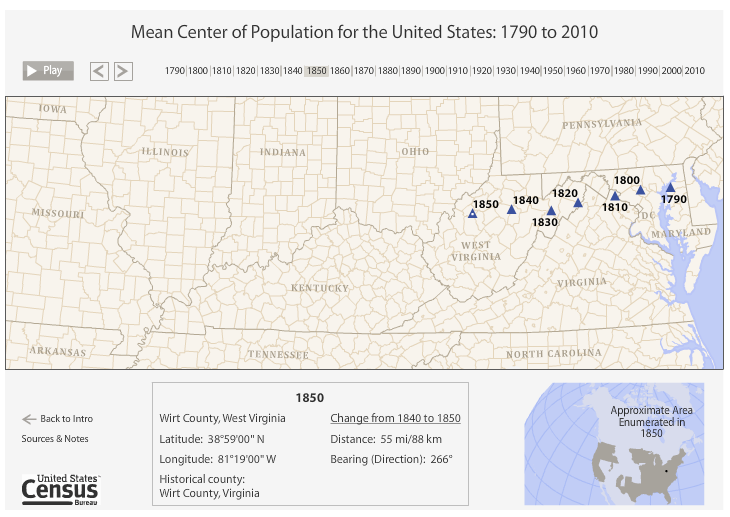 In the Maps & Data section of the U.S. Census Bureau's website you can explore thematic maps about the population of the United States. Census data can tell us a lot about the United States. Comparing census data sets over time can tell us a lot about how the United States has changed through the years. Seeing those changes can be challenging to students when all they have is a data table. Mapped representations the data can make it easier to recognize patterns and make meaning from census data sets. After looking at the maps ask students to investigate possible causes of changes in population profiles over time. I've written about Padlet a lot over the years because of its flexibility to fit into a lot of classroom situations. One of the ways that you can use Padlet is to have students collaboratively create multimedia KWL (Know, Want, Learn) charts. 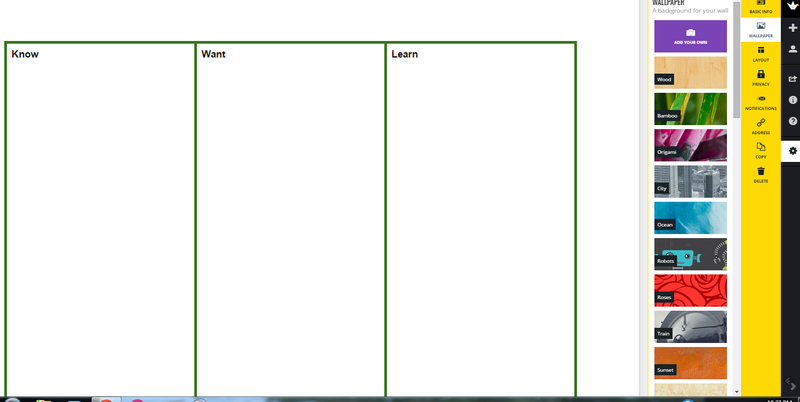 To provide students with guidance on where to place their notes, I use a custom background on Padlet. The background is a just a screenshot of a three column page that I make in Google Documents (any other document program will work just as well) that is uploaded to Padlet. 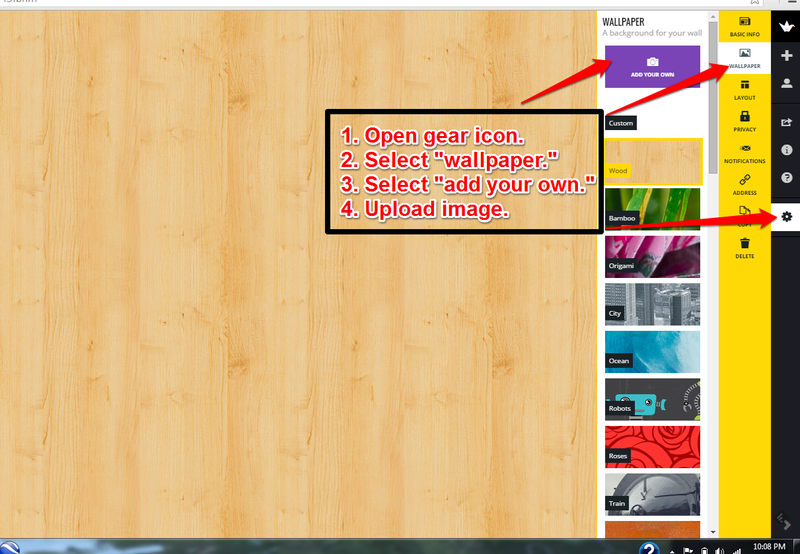 Screenshots of the process are included below. This is a guest post from Jennifer Carey (@TeacherJenCarey) of EdTechTeacher - an advertiser on this site. I have long been a fan of Jing, TechSmith’s free screen capture software. It’s a fast and easy way to grab a quick screenshot or record a video on the fly. Recently, TechSmith upgraded Jing to include a FREE membership to Screencast.com; you now get 2GB of free storage and 2GB of bandwidth per month. Screencast.com allows you to safely upload and store video as well as images, to control who views your content, to download media in a variety of formats, and to share content in a myriad of ways. After downloading and installing Jing (available for Mac and PC), create your free Screencast.com account. You can open up Jing as needed or let it run discreetly in the background while working. To access it, hover your mouse over the “sunshine” in the top right corner of your computer's desktop. You can even edit which buttons appear by selecting the “gear” icon to more easily access your favorite features. With the “capture” icon (the cross-hairs), you can choose which portion of your screen you want to highlight in your screen capture or screen shot; perhaps you want to record what you are doing in your browser window only or maybe you want the entire screen showing. Once you select the portion of your screen that you want to capture, choose “Capture an Image” or “Capture a Video.” In the free version, Jing limits videos to 5 minutes. Once you are finished with capturing your image or video, you will have the opportunity to preview it before uploading it to Screencast.com. Once uploaded to Screencast.com, it can be downloaded or shared via email, a link, or an embed code. In fact, I’ve created a short Jing to show you how to do just that! There are numerous potential applications of Jing and Screencast.com. 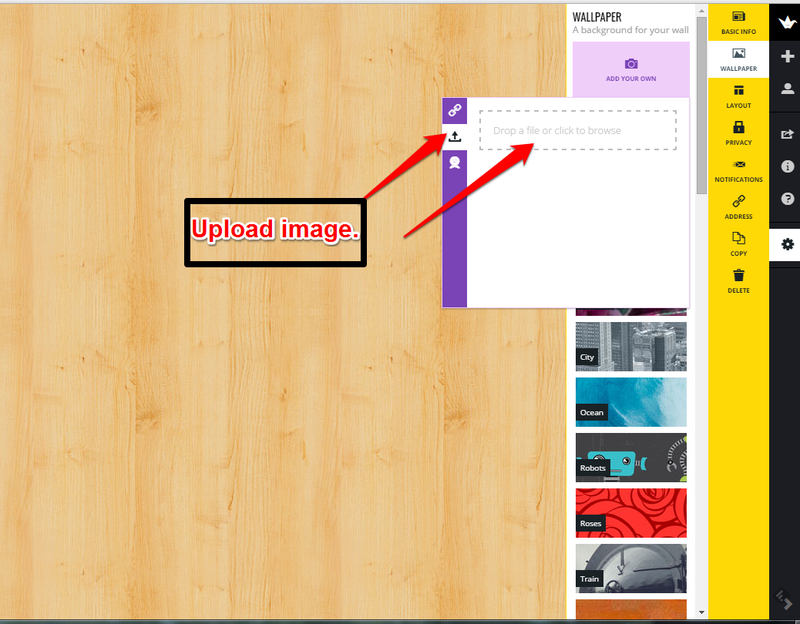 You can use screenshot features to create quick How-To instructions or help students to troubleshoot problems. By capturing your screen in video, you can flip your instruction or provide reminder content to students. For example, if your students especially struggle with working the Pythagorean Theorem, you can post a quick “how-to” video for them to reference as they do their homework or study for a quiz or a test. You can use Jing to give students audio feedback on larger assignments like essays, blog posts, diagrams, and more. Conversely, students can use Jing to demonstrate understanding by showing how they worked through a problem, recited a prompt in a foreign language class, or otherwise demonstrated their learning. The fact that Jing is free and flexible means that you do not need to invest in pricey tools to experiment with your curriculum. For even more screencasting options, visit EdTechTeacher's App Recommendations for Screencasting. They will also be teaching this concept, and more, during their 2015 Summer Workshops.